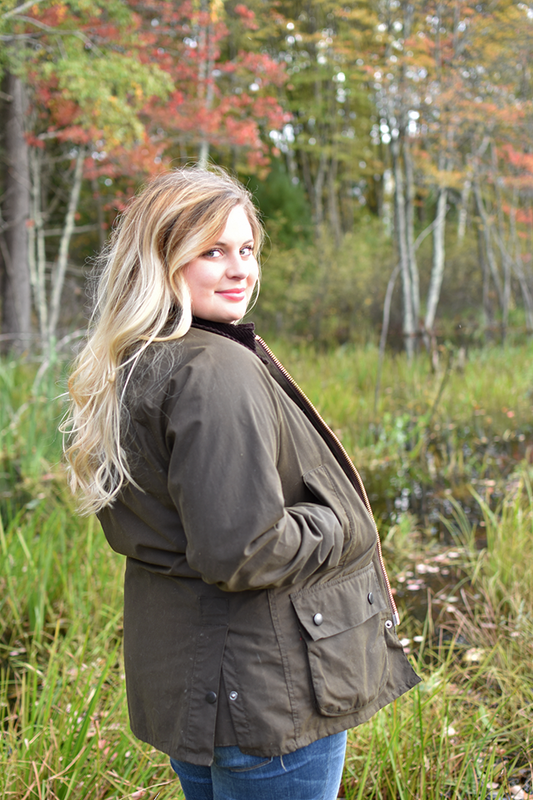 Last week the weather in Boston was perfect to break out my Barbour coat and bean boots. It was chilly and rainy, and I have to say the southerner in me was excited to actually need to wear them! 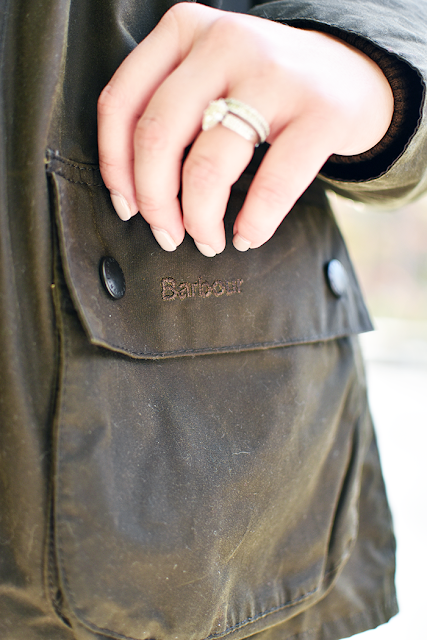 I've had my Barbour coat since we lived in Dallas, and purchased my boots this past summer while we were at the L.L. Bean flagship store. 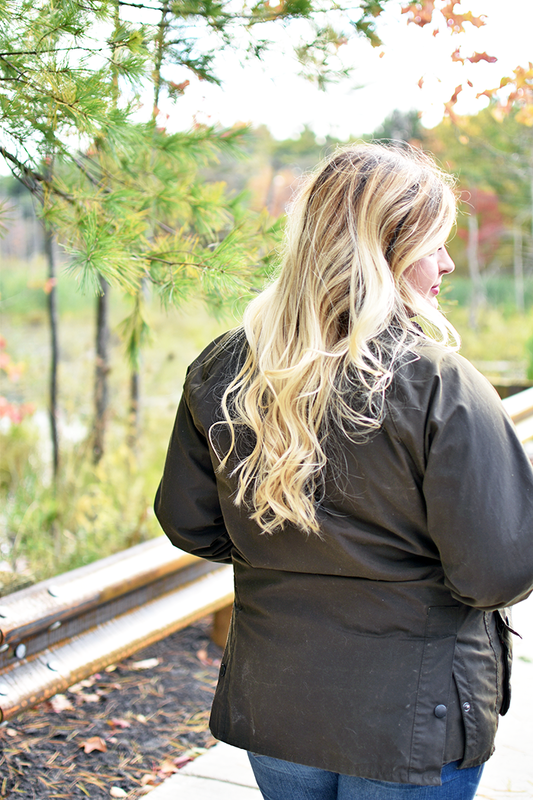 There are lots of different styles for both the boots and jacket, so I highly recommend doing some research before you buy either. 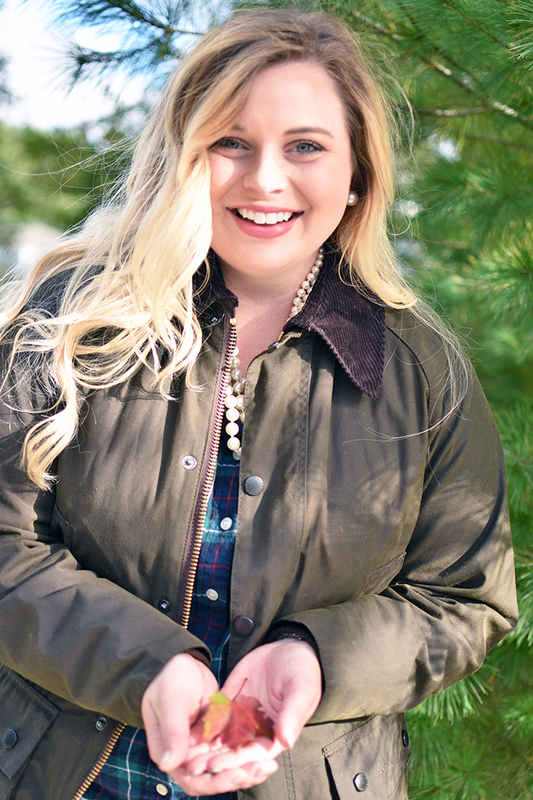 I'm not a cold weather expert by any means, but I thought I would share with y'all which styles I bought and why! Before buying a Barbour coat, the only coat I had owned was a London Fog when I was really little, so I really had no idea where to start. If I'm in unknown territory when looking to buy something, I always first go to the blogs I currently read and see if any have posted about whatever it is I'm looking for. 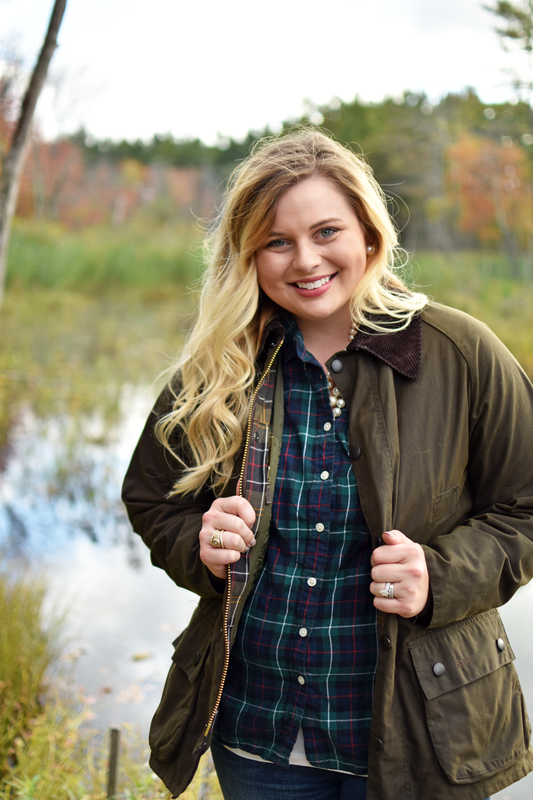 So many of the bloggers had posted about their Barbours, so that's the direction I went in, and I have to say they did not steer me wrong! I actually ended up going with a men's style, the Bedale, because I like the way it fit, and it had a few features that the women's jackets available in-store didn't have! I did get a zip in vest to add a layer of warmth, and plan on adding a removable hood in the near future! 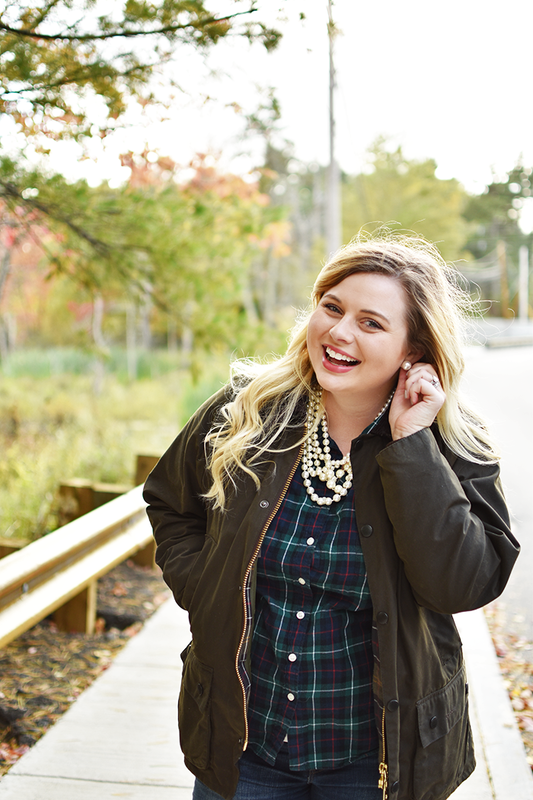 Just like with the jacket, I went off blogger recommendations when it came to purchasing a pair of bean boots. I also asked the sales associates a million questions while I was in the store. I highly recommend doing this, because they're going to be able to tell you exactly what you need for the weather in the area that you're in. I wanted to be able to wear my boots throughout the fall and winter whenever I needed them, which is why I decided to go with the style that did not have Gortex or thinsulate. Right now, I'm wearing them with camp socks, and bought some shearling insoles for when it gets really cold. Once I figured out the styles of boots and jacket I wanted, the next challenge was how masculine the jacket and boots can look. 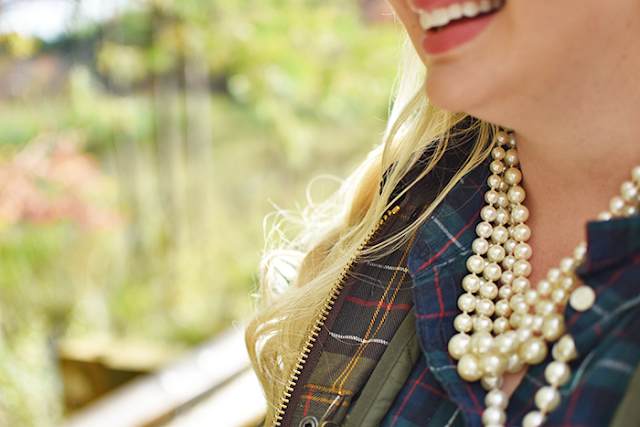 The best way to combat this challenge is to add some feminine details throughout the rest of your look. 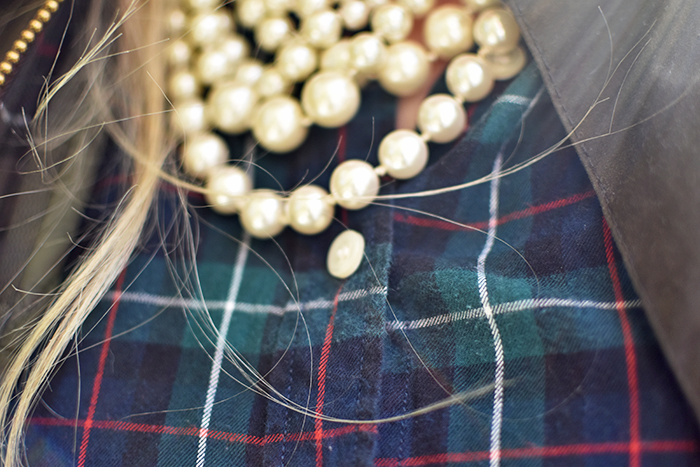 Maybe it's a button down shirt with some ruffles, keeping the color of your top in a softer color, or adding a pearl necklace and earrings like I did! Oh, and just a little side note, if you're looking to purchase bean boots, do so now! They sell out really quickly! 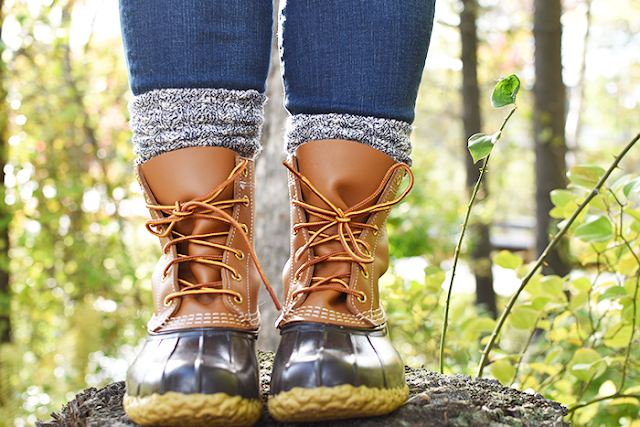 What are your go-to boots & coats for keeping warm? I'd love to hear!